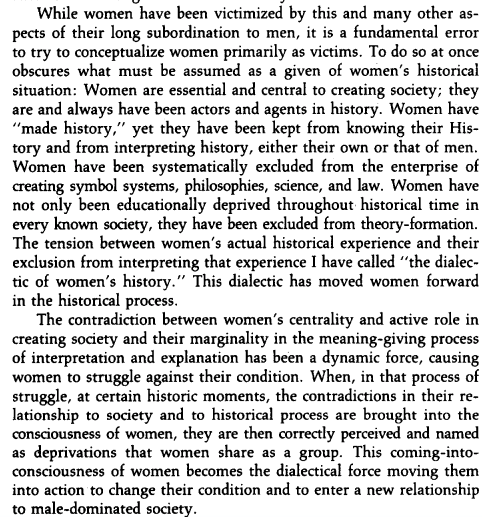 This is the introduction to Gerda Lerner’s The Creation of the Patriarchy. 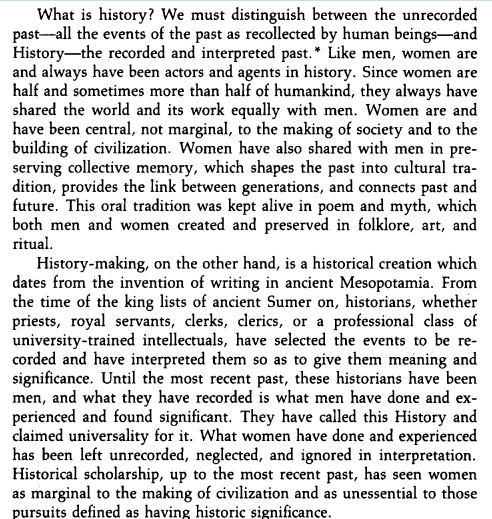 This is why women’s history is essential and should be mandatory teaching at secondary school and why all post-secondary student studying history, languages, anthropology, sociology and all the other “ologies” should have a mandatory course on women’s history as part of their graduation requirements. The image is taken from Amazon and is easier to read on their site.